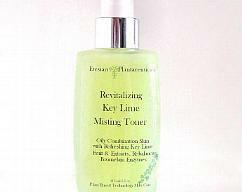 A misting toner line made of 100% natural ingredients. Much more than a simple toner though, advanced expeller extracts of plant, flower, or fruit extracts and vitamins to target oily skin and large pores. Best AFTER cleansing, and throughout the day to refresh skin, reduce oil and shine. 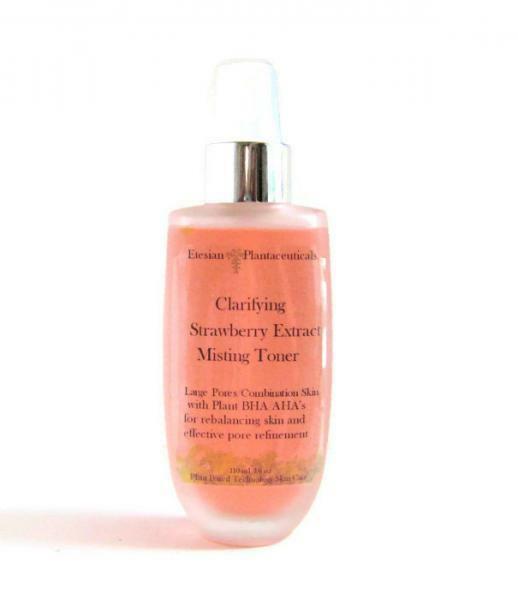 Strawberry Extract and Hydrosol are rich in polyphenols and Vitamin C, and provides protection for the skin, has skin soothing properties and is a wonderful toner to reduce the appearance of pores. Fruit AHA / BHA's removes build-up of dead skin cells, dirt, and oil. 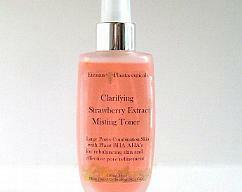 The juicy aroma of succulent strawberries captured in this toner also feels refreshing! This line will run throughout the summer only. LAST ONE! Purify pores and bolster your skin's natural defenses against irritations and reactions. This preservative-free refresher leaves skin clean, clear, and free of shine. 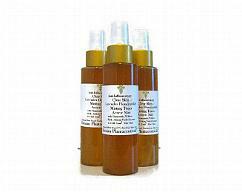 Not for active,acneic skin, please see: https://www.etsy.com/listing/110101762/anti-inflammatory-clear-skin-lavender or Banishing AppleMint Blemish Mist, or Rose Aloe Mist. 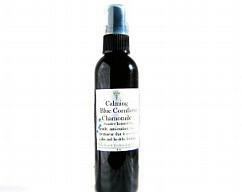 +Cranberry extract condensed tannins contain anti-bacterial, antioxidant, anti-microbial properties. 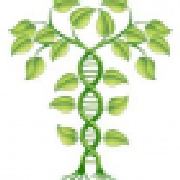 Polyphenol antioxidants clarify; scavenge free radicals and result in reduction of inflammation. +Alpha Lipoic Acid: Gently exfoliates skin and normalizes oil while improving tone and texture. (Aqua (Water), Dimethyl MEA (DMAE), Glycerin, SD Alcohol 40-B, Magnesium Aspartate, Zinc Gluconate, Phosphatidylcholine, Phenoxyethanol, Caprylyl Glycol, Ethoxydiglycol, Salicylic Acid, Acetyl Tyrosine, Thioctic Acid (Alpha-Lipoic Acid), Polysorbate 20, Copper Gluconate, Butylene Glycol, Parfum (Fragrance), Sorbic Acid, Sodium Hyaluronate, Linalool.